“A Wrinkle in Time” is Disney’s new film adaptation of Madeleine L’Engle’s beloved children’s science fiction novel, and it has been years in the making. Directed by Ava DuVernay, the movie features Oprah Winfrey, Mindy Kaling and Reese Witherspoon, and introduces Storm Reid as the main character, Meg Murry. The story follows Meg, her precocious younger brother Charles Wallace, and their neighbor Calvin O’Keefe as they travel through space searching for Meg and Charles’ lost father with the help of the ancient and celestial Mrs. Whatsit, Mrs. Who and Mrs. Which. The theme is neither ground-breaking nor nuanced — the main conflict is between good and evil. The book begins, “It was a dark and stormy night.” Despite this, “A Wrinkle in Time” is undeniably thought-provoking, playfully making references to literature, philosophy, religion and history while working within the possibilities of Einstein’s Theory of Relativity. It was rejected by 26 publishers for reasons varying from the themes being too complex for children (if it was even meant for a young audience) to the improbability of a book with a female protagonist becoming popular in the sci-fi or fantasy genres. The 2018 film is a much anticipated revival. The trailer shows the women-of-color-centered cast traveling to gorgeous, fantastical planets to save the universe. 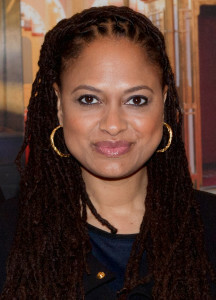 Director Ava DuVernay made history as Hollywood’s first Black woman director of a movie with a budget of over $100 million. She’s the fourth woman ever to solo-direct a movie with a budget this large. DuVernay herself began as a film publicist and eventually worked on independently produced films like “Middle of Nowhere” (2012). She received Golden Globe and Oscar nominations for Best Director for her work on “Selma” (2014) and an Oscar nomination for “13th” (2016). “A Wrinkle in Time” is in theaters on March 9, 2018.